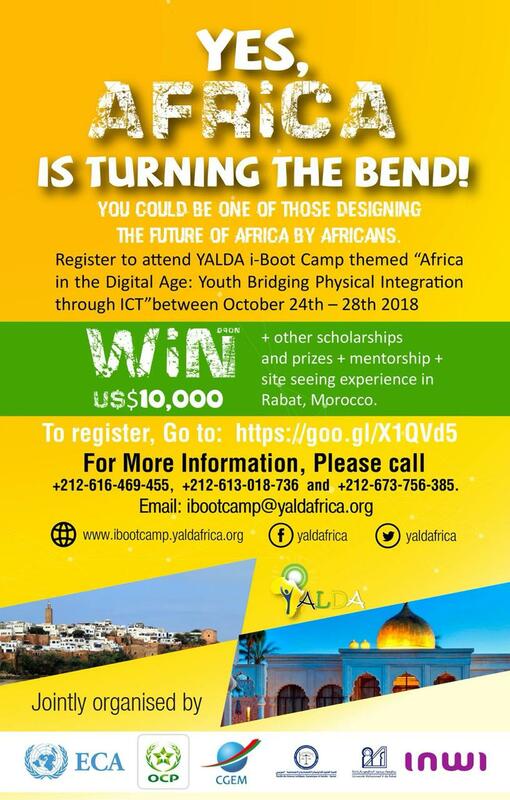 From its initial i-Boot Camp in Cairo, the YALDA biennial i-Boot Camp is at its 7th edition, with a strategic focus on youth engagement and capitalising on technological advancements to address Africa’s developmental challenges. 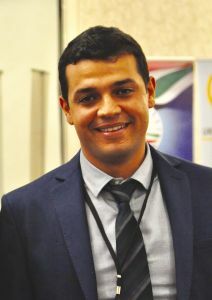 It is upon this backdrop, that the stage for Morocco to accommodate the aspirations and constructive ideas of an African continent that is constantly exploiting avenues to assert itself on a global platform. In partnership with the United Nations Economic Commission for Africa, the OCP Group, CGEM, INWI, Mohammed V University (Download 1, Download 2) in Rabat heartily expresses its readiness and unrivalled commitment to host the 2018 YALDA biennial i-Boot Camp. The theme of this i-Boot Camp, “Africa in the Digital Age: Youth bridging physical integration through ICT”, comes in timely, as the clamour and need for regional integration is resounded as a matter of urgency across the African continent. Given the recent signing of the African Continental Free Trade Agreement, there is no better time to walk the talk of regional integration and most importantly evolving a borderless Africa through innovation and technology. Understandably, these efforts will culminate into a more prosperous and peaceful Africa. This year’s i-Boot Camp will be bringing together 350 innovative youths and prominent leaders in business and in civil societies across Africa to present innovative ideas that seeks to challenge the status quo by proffering digital solutions to issues across the continent. The panellists will be charged with idea development and the identification of the best and most innovative ideas from different thematic areas and regional blocks. As a country too familiar with the power of diversity, it is with greatest honour and excitement to invite the young leaders of Africa across the continent and the diaspora to assume the stewardship of the digital integration process in alignment with the ambitious and feasible Agenda 2063. I look forward to hosting you in my beautiful country!